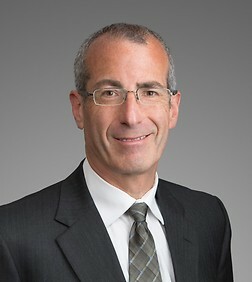 Theodore A. Cohen is a special counsel in the Finance and Bankruptcy Practice Group in the firm's Los Angeles office. Theodore specializes in creditors' rights and focuses on lender, indenture trustee, and lessor representation in bankruptcies, loan and lease workouts, defaulted bond financings and secured transactions. Theodore also represents distressed asset and stock buyers, sellers, and assignees in bankruptcy 363 sales, UCC foreclosure sales, real estate foreclosure sales, receiverships, and assignments for the benefit of creditors. Prior to joining the firm, Theodore was an associate at Levy, Small & Lallas and Pillsbury, Madison & Sutro. Theodore experience includes workouts, asset sales, stock sales, loan sales, cash collateral issues, debtor-in-possession financing, relief from stay proceedings, plans of reorganization, preference and fraudulent transfer litigation, pre-bankruptcy counseling for debtors and creditors, reorganization issues, trust indenture enforcement, lease and contract assumption issues, and prejudgment remedies in state court, including writs of attachment, writs of possession, injunctions and receivers. Mr. Cohen represented a buyer of the assets of a manufacturer and distributor of plumbing and irrigation related products through an assignment for the benefit of creditors. The transaction also involved working capital financing, real estate transfer issues, and intellectual property transfer issues. Mr. Cohen represented Bidz.com, an on-line jewelry auctioneer, in acquiring diamonds and other jewelry of The Colibri Group. Bidz.com acquired these assets from a state court receiver appointed over The Colibri Group in Rhode Island. Mr. Cohen represented the stalking horse buyer of the stock of LoanCare Servicing Center owned by LandAmerica Financial Group in LandAmerica's bankruptcy. Mr. Cohen represented a defense contractor in forming a special purpose entity to merge with a target company that had gone through bankruptcy and confirmed a plan of reorganization. The merger occurred post-confirmation. The transaction involved significant due diligence regarding the target company's pre-merger compliance with the plan of reorganization. Mr. Cohen represented Bidz.com in acquiring all of the jewelry inventory and a significant amount of loose diamond inventory from L.I.D., Ltd. ("LID"). Bidz.com acquired the jewelry and diamonds in LID's Chapter 11 bankruptcy pending in the Southern District of New York through a Bankruptcy Code Section 363 sale. Mr. Cohen represented an aluminum and zinc alloy die caster in acquiring the assets of a competitor through an assignment for the benefit of creditors. While the sale closed immediately after the assignment, at the request of Mr. Cohen's client, the assignee operated the business for a limited time period thereafter, which ensured a smooth transition and created additional value for the assignee and for Mr. Cohen's client. Mr. Cohen represented a managed service provider of outsourced personnel services in acquiring the assets of a competitor through an assignment for the benefit of creditors. The value of the acquisition to Mr. Cohen's client was much greater than the purchase price, as the acquisition enabled Mr. Cohen's client to develop additional and much greater business than the competitor had developed. To preserve value, the sale closed very quickly. Mr. Cohen represented a publicly traded high-tech company in acquiring all of the assets of three distressed privately held corporations through an assignment for the benefit of creditors. Mr. Cohen's client was the high bidder at an auction sale conducted by the assignee. Because the assets were in danger of losing their value or disappearing, it was imperative to close the sale quickly. The sale was completed one day after the assignment for the benefit of creditors. Mr. Cohen represented a private equity and mezzanine/subordinated debt capital firm in (i) making a debtor-in-possession financing loan to a chrome plating company in Chapter 11, (ii) negotiating and documenting a stalking horse asset purchase agreement for Mr. Cohen's client to purchase assets and assume the leases and licenses of the debtor, and (iii) overseeing the negotiation and documentation of employment agreements between Mr. Cohen's client as buyer and two key employees, in conjunction with the sale. Mr. Cohen represented a buyer of the assets of a rubber manufacturer through an assignment for the benefit of creditors. In addition to negotiating and documenting the asset purchase agreement, Mr. Cohen participated in the negotiation and documentation in the agreements pursuant to which the rubber manufacturer's former secure lender obtained an equity interest in the buyer in exchange for consenting to the sale free and clear of the lender's lien. Mr. Cohen represented a secured lender that successfully foreclosed on its collateral through a public sale under the Uniform Commercial Code. Mr. Cohen's client became the owner of the foreclosed assets and successfully defended against a post-foreclosure lawsuit challenging the foreclosure because (i) the complaining party had received notice of the sale and failed to object or bid, and (ii) the amount of the secured lender's debt was so large that there could be no argument that the value of the property exceeded the amount of the debt. Mr. Cohen represented U.S. Bank in enforcing its secured loan rights on a defaulted loan against (i) a corporate borrower in the business of providing check cashing services, and (ii) two individual guarantors (unsecured), one of which had significant assets. Based upon obtaining a hotly contested right to attach order against the guarantors, the matter settled on terms very favorable to U.S. Bank. Mr. Cohen has represented U.S. Bank, Cathay Bank, and Comerica Bank in many real estate foreclosures and workouts/restructurings, as well as judicial foreclosure and guarantor litigation. Mr. Cohen closed an $8.2 million loan workout and restructuring, including new credit, on behalf of a bank client with respect to a borrower in the injection molding and plastic parts production business. The refinancing package included equipment loans, real estate loans, a revolving working capital facility, SBA financing, bond financing, and guaranties. As part of the workout, Mr. Cohen solidified the bank's collateral position and provided relief to the borrower in extending and restructuring the obligations. Mr. Cohen has represented U.S. Bank in its capacity as an indenture trustee with respect to secured and unsecured bond financings in more than fifteen different transactions. Mr. Cohen's experience in this regard includes Chapter 11 reorganizations, real and personal property sales, Hurricane Katrina and Rita-related properties, Chapter 7 liquidations, a railroad rolling stock lease, assisted living facilities, low income housing, high value condominiums, a steam generation facility and a multi-tenant industrial facility. Mr. Cohen represented a secured lender, CoBank, in enforcing its $72 million loan made to a provider of cellular telephone service in Michigan and California. The borrower defaulted and filed Chapter 11. Mr. Cohen's client caused the borrower to sell its assets over the objection of the borrower's shareholder, who had pledged his shares to Mr. Cohen's client as collateral. Mr. Cohen's client, through a receiver, voted the shareholder's shares, electing to sell rather than reorganize. The borrower's assets were sold in a series of 363 sales that maximized the return based on competitive bidding. Mr. Cohen's client expected to receive net proceeds of approximately $45 million, and ended up with close to $60 million. Mr. Cohen enforced the rights of Business Alliance Capital Corporation, an asset-based lender, against a borrower, Pegnato & Pegnato Roof Management, in Pegnato's Chapter 11 bankruptcy case. After negotiating a debtor-in-possession financing stipulation approved by the court, Mr. Cohen helped negotiate and document a sale of the borrower's assets under Bankruptcy Code Section 363 that resulted in Mr. Cohen's client being paid in full. Mr. Cohen represented the rights of a supplier against a customer that did not pay for product that Mr. Cohen's client had shipped to the customer. After the customer filed a Chapter 7 bankruptcy petition, Mr. Cohen successfully obtained a writ of attachment against the principals of the customer, who had guaranteed the customer's obligations to Mr. Cohen's client. This resulted in Mr. Cohen's client obtaining over an 80% recovery. Mr. Cohen represented a secured lender in liquidating the assets of its borrower, a toy distributor. Mr. Cohen's client found a buyer, and rather than going through an expensive and time-consuming bankruptcy proceeding, Mr. Cohen's client foreclosed its security interest under Article 9, thereby extinguishing all junior liens, and sold the collateral to the buyer through a simple Bill of Sale. Mr. Cohen defended Video Products Distributors against a $1 million preference action brought by Tower Records in Tower's bankruptcy. Based upon financial information Mr. Cohen had VPD gather and produce, VPD was able to settle the matter for $32,500. Mr. Cohen represented a defendant being sued by a plaintiff who had acquired the claim against the defendant from a bankruptcy trustee for a corporation. The plaintiff was represented by a state court litigator. Mr. Cohen removed the lawsuit to the bankruptcy court on the grounds that the bankruptcy estate was entitled to a portion of any recovery. After the bankruptcy court denied the plaintiff's motion to remand, with plaintiff and his counsel facing sanctions for discovery violations, plaintiff dismissed the lawsuit against Mr. Cohen's client with prejudice. Mr. Cohen provided bankruptcy advice to an individual with discrimination claims against a large retail chain that filed bankruptcy while the individual's state court lawsuit was pending. By objecting to the debtor's asset sale on the grounds that the purchaser should not be absolved of successor liability with respect to the individual's claims, Mr. Cohen was able to negotiate a relief from stay stipulation to allow the individual to proceed with her lawsuit in state court as against insurance proceeds. Mr. Cohen's client obtained a favorable settlement from the insurer. Mr. Cohen represented an individual plaintiff with tort claims against a large restaurant chain that filed Chapter 11 bankruptcy after Mr. Cohen's client, through state court counsel, had filed her lawsuit against the debtor. In the face of significant opposition from the debtor and the debtor's insurer, Mr. Cohen obtained an order from the bankruptcy court granting Mr. Cohen's client relief from the automatic stay to pursue the state court litigation based on the debtor's insurance policy. Mr. Cohen's client obtained a very favorable settlement from the insurer. Mr. Cohen represented Insolvency Services Group, Inc. ("ISG"), in its capacity as Assignee for the Benefit of Creditors of Import Stone, Inc. ("Import Stone"). After Import Stone made an assignment for the benefit of creditors ("ABC") to ISG and ISG sold the assets formerly owned by Import Stone to a buyer (the "Sale"), several of Import Stone's creditors filed an involuntary bankruptcy case against Import Stone seeking to unwind the ABC and the Sale. Mr. Cohen got the bankruptcy dismissed and sanctions awarded against the petitioning creditors. Mr. Cohen has provided advice to several subprime lenders in liquidating, either through private sales, assignments for the benefit of creditors, or bankruptcy. Mr. Cohen has also represented several warehouse lenders in enforcing their rights against subprime lenders. Mr. Cohen represented a distressed film distribution company that made an assignment for the benefit of creditors. The company's assets were subsequently sold to a strategic buyer. Mr. Cohen negotiated with the assignee, the company's secured lender and the buyer, and helped coordinate the resolution of issues affecting the company, including the termination of employees and indemnification of officers and directors. Mr. Cohen represented a British liquidator of the purported owner of a film library of American newsreel footage dating back to the 19th century. Notwithstanding a formidable legal challenge to the purported owner's title to the film library, in selling the film library, the liquidator obtained a significant cash payment and royalty percentage from future exploitation of the film library in exchange for conveying whatever right, title and interest the liquidator held in the film library. Mr. Cohen represented a receiver appointed by the bankruptcy court to collect a judgment held by the estate against a third party. Mr. Cohen defeated the third party's assertion that a high-balance bank account owned by the third party was exempt from execution as a qualified retirement account. In addition to prevailing before the bankruptcy court, Mr. Cohen obtained an affirmance of the bankruptcy court's ruling from the Ninth Circuit Bankruptcy Appellate Panel. In November 2014, Mr. Cohen presented at the Strafford Publications webinar titled "UCC Forceclosures on Collateral: Effectuating a Sale and Evaluating Article 9 Alternatives". In February, 2013, Mr. Cohen presented at the Strafford Publications webinar titled “Bankruptcy Risks for Secured Lenders". In January, 2010, Mr. Cohen discussed bankruptcy and workout issues in distressed real estate loans and transactions at the Smart Real Estate Investor's Seminar on a panel entitled "Commercial Real Estate: Secrets to Success in the New Real Estate Game". In October, 2009, Mr. Cohen was a panelist on a Strafford Publications webinar and compared and contrasted UCC foreclosures, bankruptcy sales, assignments for the benefit of creditors, and receiverships as alternatives for effectuating transfers of distressed assets. In July (Southern California) and August (Northern California), 2009, Mr. Cohen discussed bankruptcy issues in employment law at a California Employment Lawyers Association seminar entitled "Practicing Employment Law in Hard Times". In June, 2009, Mr. Cohen participated on a panel that presented Bankruptcy 101 for employment lawyers to the Labor & Employment Law and Bankruptcy Sections of the Beverly Hills Bar Association. In May, 2009, Mr. Cohen participated on a panel that presented bankruptcy issues in wage and hour and other class action litigation to the California Employment Lawyers Association. In February, 2009, Mr. Cohen participated on a panel that presented "The Economic Crisis: What to Do When the Deep Pocket Develops a Hole" to the Labor & Employment Section of the Los Angeles County Bar Association. In February, 2009, Mr. Cohen participated on a panel that presented to one of Sheppard Mullin's largest financial institution clients, lender remedies and anti-deficiency issues in defaulted real estate loans. In March, 2008, Mr. Cohen discussed bankruptcy issues in employment litigation on a panel at the 28th Annual Los Angeles County Bar Association's Labor and Employment Law Symposium. In November, 2007, Mr. Cohen presented a program entitled "Mechanisms for Buying and Selling Distressed Assets to Maximize Return and Minimize Risk: Bankruptcy 363 Sales, Assignments for the Benefit of Creditors, and UCC Foreclosure Sales" to the Sheppard Mullin Corporate Practice Group. In May, 2007, Mr. Cohen moderated a panel that discussed cutting edge bankruptcy issues, with a focus on practice in the Central District of California. In April, 2007, Mr. Cohen presented a program to Professional Resources Group on subprime loan bankruptcies. In September 2006, Mr. Cohen discussed Assignments for the Benefit of Creditors as a viable alternative to bankruptcy on a panel at the 2006 West Coast Plan of Reorganization Conference of the Association of Insolvency and Restructuring Advisors. In February, 2006, Mr. Cohen presented a program on the Bankruptcy Abuse Prevention and Consumer Protection Act of 2005 to the Professional Resources Group. Mr. Cohen has presented programs regarding the effect of bankruptcy on pending state court litigation to the California Employment Lawyers Association and to LEFTJAW, a Southern California association of plaintiff's employment lawyers.